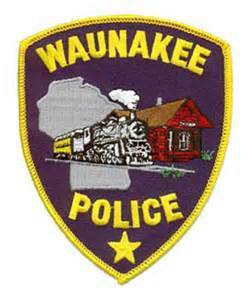 Supported by the Wisconsin Department of Justice “Drug Take-Back Day” Campaign and in collaboration with the Waunakee Police Department, the Waunakee Community Cares Coalition will be having a Drug Take-Back Event on Saturday, April 27th, 2019 at the Waunakee Police Department located at 205 N Klein Drive from 10 am - 2 pm. 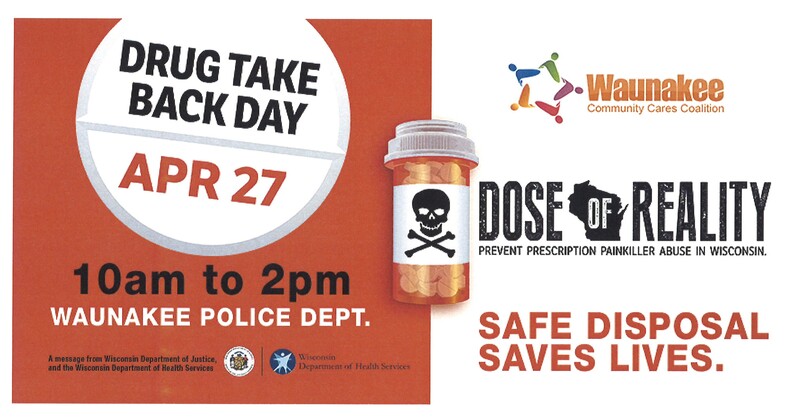 You may safely dispose of unused or expired prescriptions which include controlled and uncontrolled substances, over-the-counter medications, ointments, patches, creams, non-aerosol sprays, vials, inhalers, vitamins and pet medications by dumping all pills out of pill bottles into a Ziploc baggy. This year we have collaborated with MERI to safely dispose of Epi-pens, sharps and needles during this event ONLY.